Unique in the region, the Scottish Rite Valley of Chicago Museum and Library aims to be the “historical society” of Scottish Rite and American Freemasonry by collecting, preserving, interpreting and celebrating the history of fraternalism. We pay special attention to tell the most accurate history and strive to serve the Masonic community. The Museum’s collection holds more than 10,000 objects and framed artworks while the Library collection is comprised of over 20,000 books, magazines, journals, and periodicals along with primary and secondary archival materials. The Museum & Library showcases this collection by presenting changing exhibitions that foster a deeper appreciation for American and Masonic history. Highlights of these collections include Masonic and fraternal certificates, charters, ledgers, minute books, programs, correspondence, as well as ephemera such as programs, notices, reports, and invitations. The collection also includes Masonic and fraternal regalia, pins, ribbons, coins, postcards and glassware. Highlights include the Structure of Freemasonry and Scottish Rite Regalia posters, portraits from a variety of artists such as Donald James Zolton, and plaques or awards given to members in Masonic or Scottish Rite Bodies. The collection also includes artwork and materials from the World’s Columbian Exposition that was held in Chicago in 1893. The institutional archives of the Scottish Rite Valley of Chicago contain architectural plans, records, photographs, and slides that document the founding and activities of the Valley of Chicago. The Masonic collection contains primary and secondary resources dating from the 18th century to the present. The rare book collection has some of the most important Masonic titles published in English, including a facsimile of the first Masonic book published in North America, James Anderson’s The Constitutions of Free-Masons, printed by Benjamin Franklin in Philadelphia in 1734. The Masonic collection includes material written by and for Masons as well as current scholarly publications about Freemasonry. One of our treasures is a very rare original Volume Number 1 of Ars Quatuor Coronatorum Transactions from Lodge Quatuor Coronati, No. 2076 in London, England dated 1888. Strengths of the Library’s Masonic collections include material on the history of Scottish Rite Freemasonry, published proceedings of various Masonic bodies, individual lodge histories, anti-Masonry, rituals and early Masonic ritual exposés. The Library’s Masonic periodical collection contains rare Masonic magazines and newspapers as well as contemporary Masonic magazines. Strengths of the Library’s general collection include American history, fraternal (i.e. 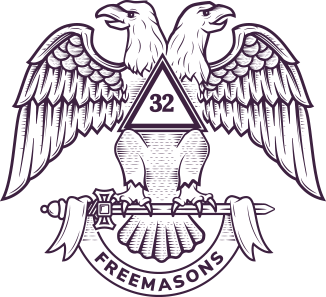 non-Masonic) groups, local and state history, decorative and applied arts, current and historic journals, magazines, and other periodicals, as well as a small but strong collection of historical maps and sheet music. Our Chicago and Illinois history collection includes original editions of Report on the Illinois Board of World’s Fair Commissioners 1893 and The Outer Drive, Along the Lake Front, Chicago Plan Commission 1929 to name a few.